From Budapest to Somló the distance on road is about 170kms. The most convenient route is to take the M7 from Budapest and at Székesfehérvár the road 8 (E66) via Veszprém. 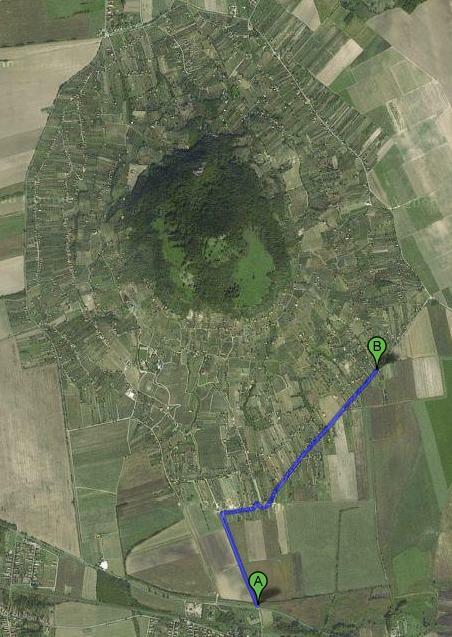 This 14km is marked with blue. From the crossing of the road 8 (E66) and the road to the hill the Hegykapu restaurant is about 600 meters. Take right in front of the restaurant and after 1500 meters there is a crossing with small sign “<1131” as well as a concrete well on the right side of the road. From the road 8 (E66) this crossing is 2.1kms as marked with blue on the map below. 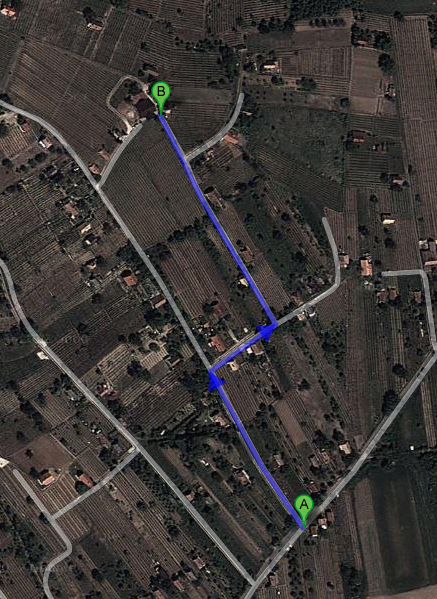 Turn left and after 200 meters turn right and then after 50 meters turn again left and after 200 meters you arrive to the cellar near by a well. This route is marked blue on the picture bellow.